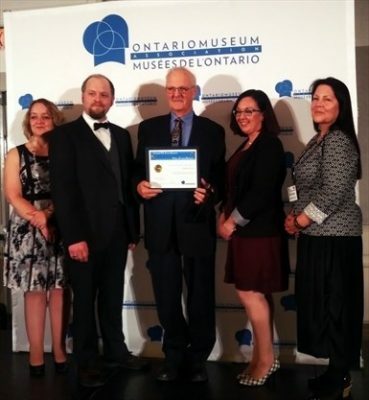 “Waterloo Region Museum received an Award of Excellence in Exhibitions and Warren Stauch received a Volunteer Award of Excellence at the Ontario Museum Association (OMA) Annual Conference that took place Oct. 25 in Toronto. The OMA Awards of Excellence are an opportunity to recognize institutions and individuals who are leading the way in enriching people’s lives and helping build vibrant and engaged communities. The OMA Award of Excellence in Exhibitions recognizes the creation of an exhibit. Examples may include permanent, temporary, traveling or virtual exhibitions.